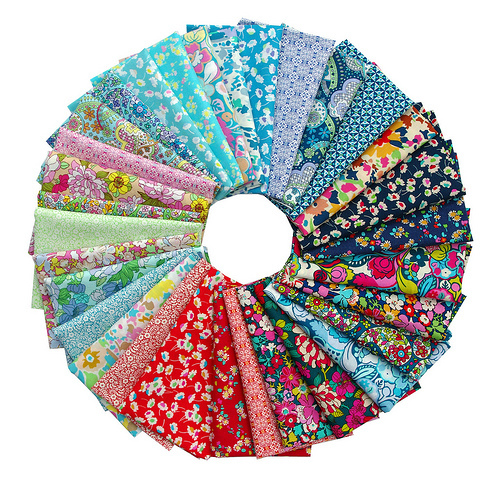 The Liberty Lifestyle collection is a new range of standard quilting (and crafting) cotton by Liberty of London. 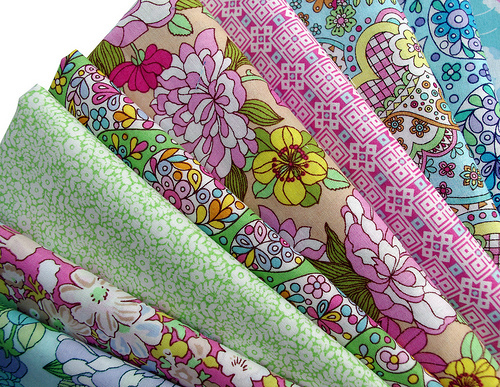 The first collection ~ Bloomsbury Gardens ~ consists of five different color palettes and eleven prints. A total of 55 prints (not all pictured here). 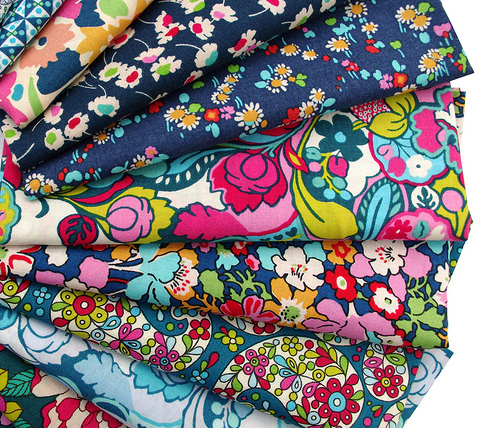 Bloomsbury Gardens is an eclectic mix of prints and colors inspired by the historic district of London, an area well known for it's beautiful garden squares and historic architecture. I have already cut into my stash. It's lovely to work with! Those prints are adorable!! Thanks for sharing~ I'll be on the lookout! It is just beautiful! It would be fantastic for English Paper piecing. I love the prints. I am really into EPP right now, and searching for just the right pattern to pull me in. I'll find it yet.. and then perhaps this fabric will be calling my number. Can't wait to see what you do with this as this is one collection that I am going to splurge on and I need your inspiration! Love Liberty of London. Use to make smocked dresses for girls years ago. I have some serious fabric envy right now! Have fun! I should know what I'm going to do with it, but I don't, yet.... I can't wait!! Wow. A lot of those prints remind me of cotton I used to make dresses 40+ ears ago. I'm pretty sure my mom's aunt got all the scraps for quilts. So jealous! I am waiting and waiting for this line! I don't have a plan for it yet but it's just so beautiful. Wow, I rather do like this collection! Normally I don't care much for Liberty of London... but this is quite lovely! How pretty. 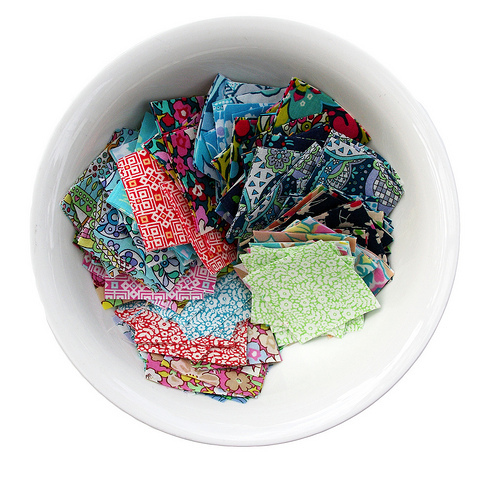 Love all the fabric in the bowl. You take the best photos! Gorgeous! It's on the Must Have list. There are some really pretty prints in there I would sure liket to have. I'll be watching. So pretty. I can`t wait! Ohhh there are some really pretty prints in there. 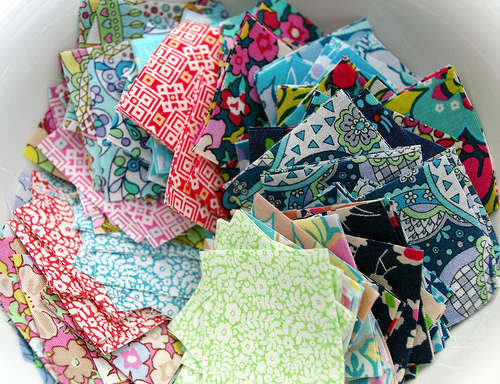 What is your plan for all of your freshly cut pieces of pretties? 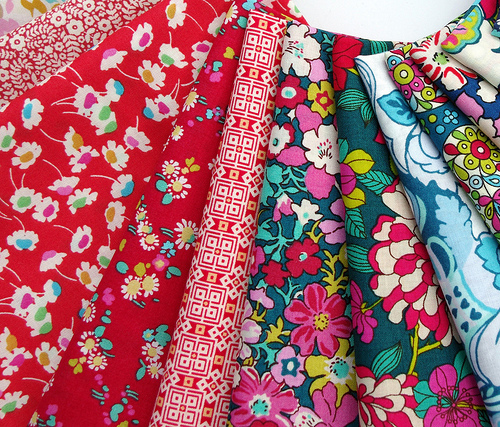 ACK ~ I love Liberty fabrics and this collection looks like it's going to be a MUST HAVE for me! Can't wait! It hardly seems fair to show us such great fabric that is not available yet. It is like telling children about a dessert that they are not eating. : ) I cant wait to buy some of that fab fabric! Oh my goodness! I can't wait to get my hands on that! Wow, I can't wait to see what you do with this collection! I just have to say, I'm so inspired by your quilts. I have two little girls that have the biggest blankie collection on the planet and I can't wait to try some of your tutorials to make them special treasures. Thank you for sharing your amazing creations with us! I love to see how you match your fabrics.These florals one are neat!! So pretty! I love it when you give us snippets to see...such suspense! I have been waiting for these since I first found out they were being released. They are stunning and I can't wait to get my hands on them and start sewing. You are so very lucky to already have some.